MAX cases are designed to not only be light in weight…but also light on your wallet. 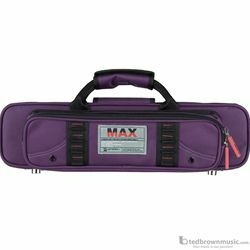 MAX cases provide the protection of a case while offering the features of a gig bag. Each MAX case features a lightweight foam frame, tough 600D poly cover, large exterior pocket, plush lining, padded handle wrap, and an adjustable shoulder strap.